When two fantastic brewers get together, good things are gonna happen. 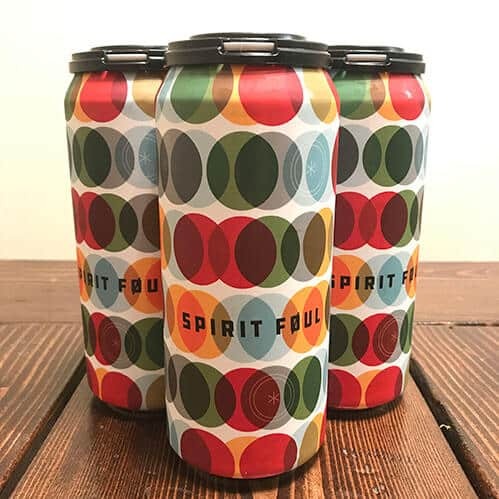 Fair State Co-op and Modern Times Beer came together to make Spirit Foul. Here’s a look at this hazy IPA. Silly, hazy, and fun is how the brewers describe this beer and it’s true. 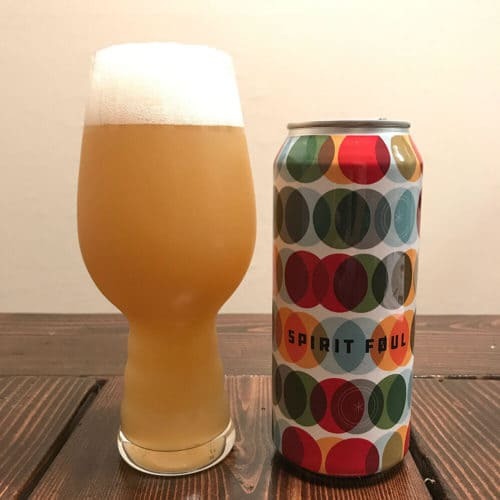 Fair State Brewing Cooperative from Northeast Minneapolis and San Diego’s Modern Times Beer got together and brew a hazy NE-style IPA, they call Spirit Foul. The collaboration is a delicious beer, packaged in very cool cans. So how is it? It pours a hazy, slightly milky, light golden hue with a fluffy white head atop. The foam slowly settles, leaving sticky lacing stuck to the side of the glass. Soft aromas of tropical, passionfruit, and a hint of pineapple caress the nose. They’re soft and silky, giving a hint of what’s to come. The smooth liquid slides across the tongue, imparting juicy tropical flavors. A touch of passionfruit, hint of bubblegum, and a kiss of dankness in the aftertaste. The body is super smooth and only a light hint of carbonation bubbles on the palate. Deliciously drinkable glass after glass, this beer showcases what happens when two brewers known for their abilities in creating great NE-style IPAs can do when they come together. This hazy IPA is just what people seek from the style and makes a tasty treat. Collaborations are a chance to have some fun and show off your unique skills, which is what both brewers did here. Look for Spirit Foul on tap and in limited release cans now. Hurry, it’s sure to go quick. Here’s where you can find cans.